One of the biggest challenges facing the modern nonprofit organization is donor retention. According to studies done by the Association of Fundraising Professionals and others, around 60-70% of all new donors fail to give again the following year. Additionally, research by Dr. Adrian Sargeant and the Rockefeller Corporation indicated that over half (around 53%) of donors who leave an organization do so because of lack of effective communication from the nonprofit they support. You probably gained new donors during last year’s holiday fundraising, and with January well underway, you face both a unique challenge and an enormous opportunity for your organization. All the new donors you acquired last year can either continue (and hopefully increase) their support another year or leave your organization. The path they choose depends on how you engage them. If this is your first time watching that video or hearing that song, hopefully you enjoy it as much as I do. If you’ve heard it before, just think of it as some great background music while reading the rest of the blog. We’ll get back to the video a bit later, but first I want to tell you about MailChimp. MailChimp is a leading provider of email marketing services with a strong nonprofit following. What sets them apart is their clean design, ease of use, and lighthearted engagement style. (They also have an integration with StayClassy, FYI). What Mailchimp is NOT known for, is marketing their brand – especially offline. 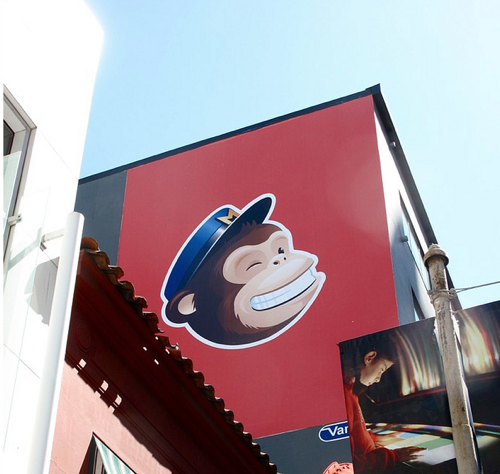 Yet, in 2012, they launched a series of billboards featuring their iconic smiling chimp logo. Most campaigns have tangible metrics associated with them, and yours should too. In most cases, this will be new customers / new donors acquired, or the amount of revenue generated, but they don’t always have to be. In this case, the ROI was measured in terms of delight. MailChimp didn’t share exactly what that means, but they mentioned it was somewhere in the neighborhood of Bhutan’s Gross National Happiness Index. Between Amazon, Target, Ebay, ETSY, and all the daily deal websites popping up everywhere, there are literally hundreds (if not thousands) of websites you can visit to purchase retail goods and have them delivered to your home. The same can be said of the nonprofit sector. While it may feel like you’re the only ones who truly care about or understand your chosen cause, there are probably at least a handful of organizations out there that appear to the casual observer to be doing exactly the same thing you are. How then, are you setting yourself apart? Among all the online retailers, Zappos is the only one that’s instilled amazing customer service into the DNA, and core values, of its organization. In fact, if you go to their website now, you’ll see the phrase “Powered by Service” included in their logo at the top of the screen. Zappos founder and CEO Tony Shieh details the origins of this philosophy in his book about the evolution of Zappos, Delivering Happiness. While Zappos didn’t get into the airline industry, it did take this experience to heart, and its practice of surprising customers with random upgrades to expedited service continues today. If you have a choice between a variety of services that from the outside seem to be fairly similar, wouldn’t you prefer to go with one that throws in the occasional surprise? Zappos customers do, and it’s part of the reason it’s become such a successful organization. If you have an established brand like Pepsi or Coca Cola, you don’t need to remind people what products (think programs) you offer. All you need to do is create positive associations for your brand in the minds of your customers (donors), and every so often, remind them you’re there. That’s why Coca Cola spent over $300 Million on a global ad campaign featuring the song in the video above, with no mention of the taste, content, or benefits of their product. To boost the song’s international appeal, K’naan customized 18 Celebration Mixes for specific countries, with local musicians singing up to half the lyrics in their language… Across the world, there are now 20 versions of “Wavin’ Flag” for sale on albums and on iTunes. Put simply, Coke went to great lengths to appeal to people already familiar with their products and customize their messaging to make it more relevant and personal to the people they hoped to reach, creating positive emotional connections, and strengthening their brand. Maybe you’re not as well known as Coke, think billboards are silly, and don’t have anything to deliver like Zappos. That’s okay! And we’re certainly not saying you shouldn’t be marketing your impact or asking for money, because you definitely should. However, not every message has to be serious. Not everything has to be a request for donations, or a story about people in need. No matter your organization’s size, mission, or level of funding, you can instill a bit of fun in your communications strategy. All these companies really did was find ways of surprising, delighting, and inspiring their customers in a targeted, personalized manner, that’s relevant to their context and experience. 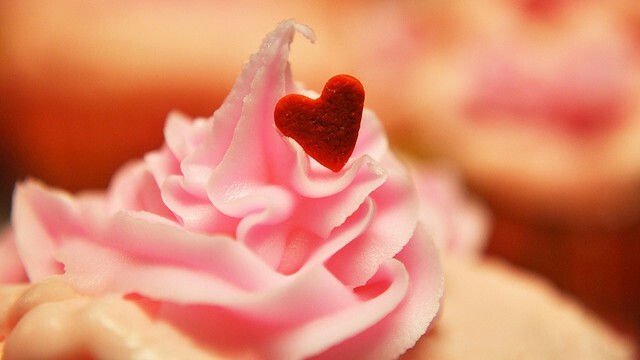 In doing so, they created emotional connections and loyalty that paid long-term dividends and helped them grow. The more you can do the same for your donors, the more likely they’ll be to stick around, feel a sense of belonging, and respond to donation or fundraising appeals when the time comes.